PONY RYDER: Nastasia. Is your name inspired by your Eastern European roots? Your roots are quite a mix! NASTASIA OHL: Yes, my name is Russian and inspired from my dad who is Russian and German. My last name is also German. PONY RYDER: How did you get into modeling? 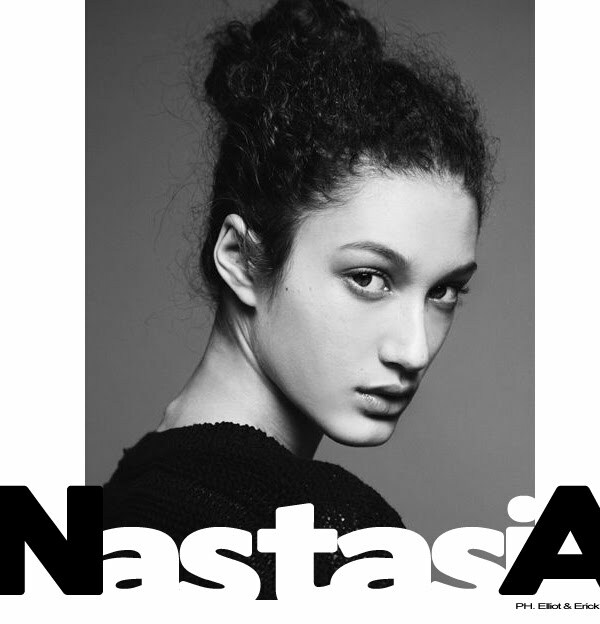 NASTASIA OHL: I got into modeling after I grew a bit in high school. 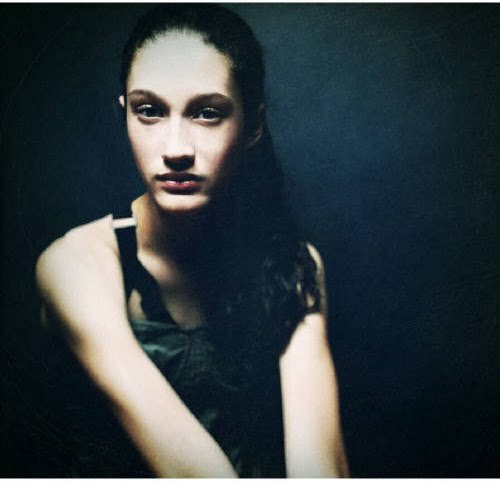 I originally got the idea into my head when I met a model in Whole Foods when I was younger ( about 9), then when I grew I sent my pictures in to some agencies in New York. PONY RYDER: You are coming from Florida. How do you handle humidity? NASTASIA OHL: Well Florida is very humid yes, but I live nearby the beach so the ocean breeze is nice and makes it cooler. Actually this heat stroke in New York is much warmer than the Florida weather I am used to. PONY RYDER: Have you ever seen an alligator? NASTASIA OHL: I have never seen an alligator actually! They mostly stay in the everglades. PONY RYDER: What about Miami Vice, do you know that show? NASTASIA OHL: Well I have heard about this show but ever actually watched it, haha. I think it is a bit different than what Miami actually is like. PONY RYDER: Except your wonderful green eyes, one of your signatures is your hair? It seems wild! 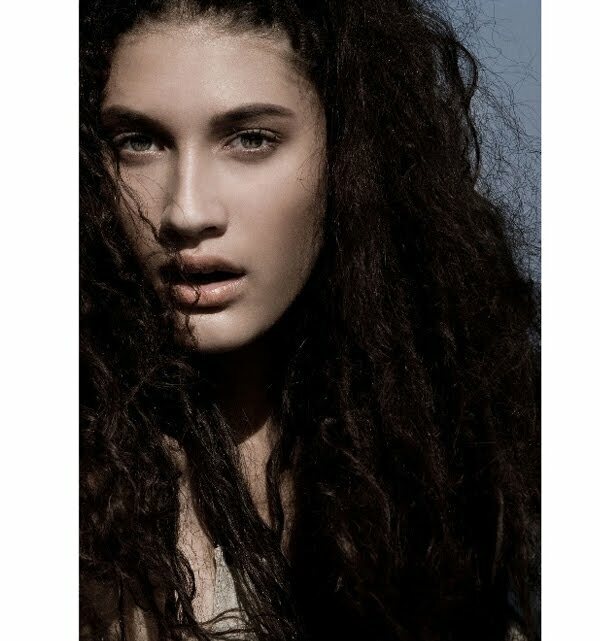 NASTASIA OHL: Well my hair is crazy curly but I love it. I use a lot of Tigi Bed head products like Curls Rock shampoo and conditioner also Bed Head After party sometimes. During fashion week I like to use hair masks to keep it healthy. 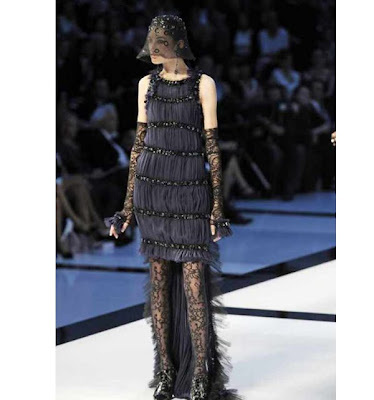 PONY RYDER: Is it true that you were handpicked by Karl Lagerfeld for your first Chanel couture show in Paris? 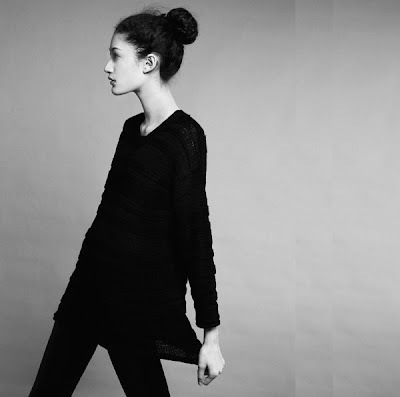 NASTASIA OHL: I have no idea exactly how I was picked for the Chanel Couture show in Paris. I went to a Chanel casting and Karl was there and it was so cool to meet him because he is such an amazing person in the world of fashion. PONY RYDER: Do you travel light? NASTASIA OHL: I actually don’t travel light at all! I like to bring everything with me so its hard for me to pack for fashion week, being away for all that time. I have to narrow it all down so that I don’t pay overweight fees on the planes though! PONY RYDER: You are busy doing casting and shows at the moment, so we won’t bother you 2 much. Just tell us, what are your casting essentials! NASTASIA OHL: Well for me I always bring some type of tote bag for my bag and shoes, right now I am carrying the one from the BCBG casting haha. I also carry my Marc by Marc purse, my casting shoes from TOPSHOP and a granola bar for snacks in between fittings. PONY RYDER: You get a chance to snack? Cool. What do you like to “snack”? NASTASIA OHL: I like to make time for snacking, yes. I like Z-bars and Kind bars as well. Also Coconut water is really refreshing, especially in this hot weather. PONY RYDER: Tell us more about your personal style, what are your favorite locations for shopping? NASTASIA OHL: Well I LOVE Topshop! I made a couple stops to the one in Oxford Circus when I was in London. I also mix in vintage finds with stuff from Zara, Mango, Forever 21 and H&M. I wear a lot of black because it goes with everything, and I like studs, lace and skulls. I’m a huge fan of Alexander McQueen, I also love Givenchy and Chanel. PONY RYDER: So black dominates your wardrobe? NASTASIA OHL: My wardrobe is mostly made up of black and also gray/ silver. I also have some colored things I wear in the summer. PONY RYDER: What are you wearing on this picture (up)? NASTASIA OHL: In the picture I am wearing vintage Gaultier, H&M, my zara boots and American Apparel leggings. PONY RYDER: Your favorite jeans brand? PONY RYDER: You definitely stand out in a crowd! You ruled that Benetton ad last season. Do you try to stand out when you pose with a group of models? NASTASIA OHL: Oh thanks! Well when we shot Benettton I got to know the other models on set over the course of the shoot, so it was easy to pose with everyone because we all became friends. I felt this great vibe during Benetton, I loved the team and I think you could see it in the group shots, the way that everyone got along so nicely. 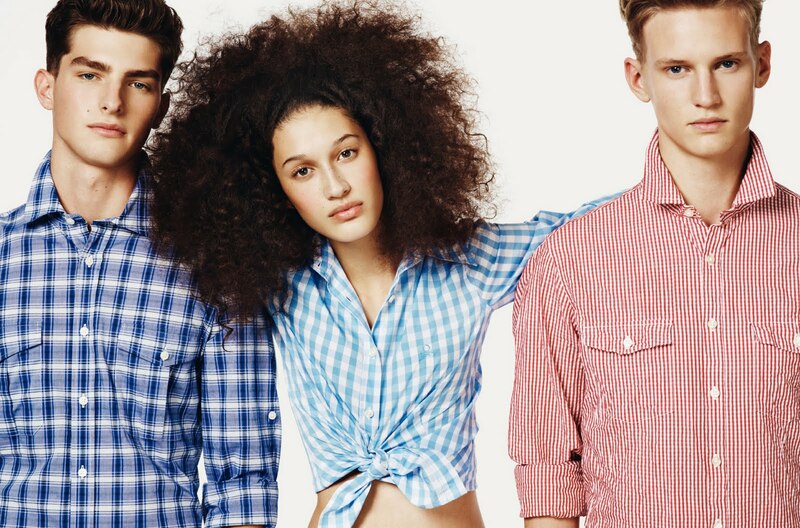 PONY RYDER: You are in the Urban Outfitters lookbook! Do you wear it personally? 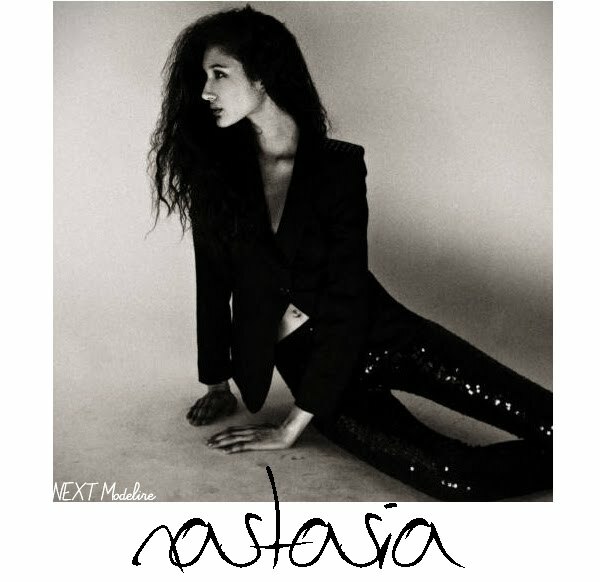 NASTASIA OHL: I have a bunch of Urban stuff that I wear actually, so its cool I get to work for a brand that I’m a fan of! When I shot for them I got to see all the new stuff they were coming out with also. NASTASIA OHL: I am a pretty active person so I stay in shape with bikram yoga mostly and also I run occasionally. PONY RYDER: Does Yoga also help you to stay emotionally grounded and calm? NASTASIA OHL: Yoga is nice because it helps me to relax and stay peaceful. It also improves my flexibility and helps to maintain focus. NASTASIA OHL: I eat all different things for breakfast. I like eggs, oatmeal or cereal if I am in a rush. Breakfast is an important meal because it gets you going in the morning. PONY RYDER: What is your favorite cereal taste? 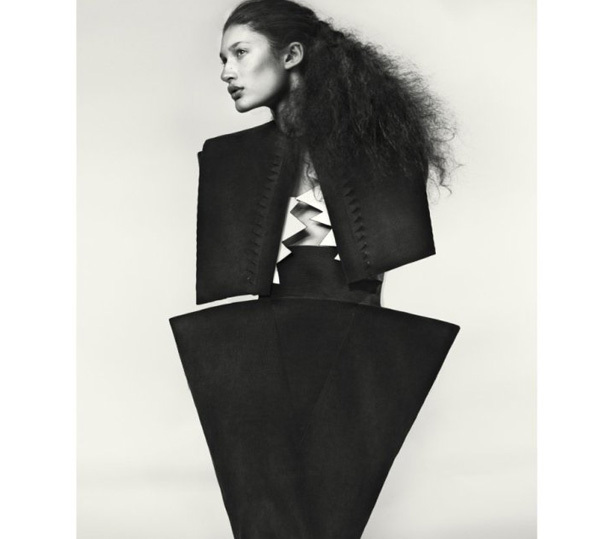 NASTASIA OHL: I’m not a fan of sweet cereals so I like either corn flakes or cheerios. PONY RYDER: Do you seriously eat beans on a toast? NASTASIA OHL: Yes I do! My friend turned me onto it when I was in London and I’m actually obsessed. It’s very good you should try it! PONY RYDER: How do you like European food? Do you prefer it more in Milan or Paris? NASTASIA OHL: I like both but personally I like French food more because I enjoy macaroons and some of the things from French bakeries. PONY RYDER: We know you like lemonade. Do you put sugar in it? NASTASIA OHL: Yumm lemonade is very good especially on a hot day. I do put sugar in it to make it sweet and nice. NASTASIA OHL: I maintain my skin as best as I can, especially during shows. I have a mixed skin type so I use Clarins cleanser, witch Hazel cleanser, and Chanel moisturizer. PONY RYDER: Do make up artists moisturize your skin before they apply make up? NASTASIA OHL: Yes, most of the artists moisturize my skin before the makeup, which is nice. PONY RYDER: Did you notice the products they usually use? NASTASIA OHL: A lot of them use Chanel moisturizer as well, Elizabeth Arden or Embryolisse lait crème. PONY RYDER: What makes you happy in autumn? NASTASIA OHL: I love walking through the park on a cool autumn day, especially Union Square and maybe having some warm apple cider.